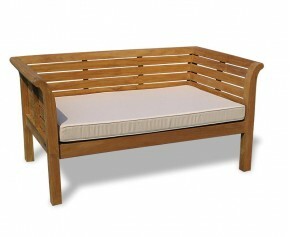 For luxurious comfort and relaxation, choose from our selection of teak garden day beds. 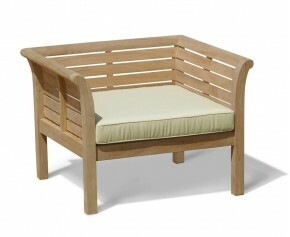 With its combination of sleek design and sturdy practicality, our teak outdoor day beds are the perfect way to relax. Made from the finest grade-A teak, our teak garden day beds are durable and will last a lifetime. Sit back, relax and unwind in the ultimate style and comfort with this gracefully crafted daybed. Built to the highest spec using kiln dried sustainable teak, this 5ft teak garden outdoor day bed has been finely sanded offering a 'smooth to touch' finish and has been built to last giving you years of trouble-free pleasure. Sit back, put your feet up and relax in the ultimate comfort and style with this beautifully designed outdoor garden teak daybed. 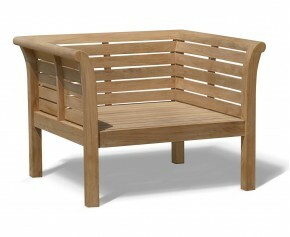 Constructed to the highest spec in the traditional manner of mortise and tenon joints, this stylish outdoor garden teak day bed has been manufactured with sustainable Grade - A teak for long life and aesthetic appeal. 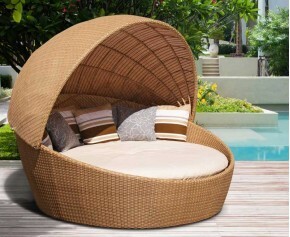 Lounge in the ultimate luxury and comfort with this beautifully crafted Oyster wicker rattan daybed. Manufactured from 'soft to touch' synthetic Rehau® this wicker rattan day bed offers the same look and feel as rattan but offer greater durability and has been built to last ensuring fruitful use for years to come. Featuring a 10cm extra thick SuperiorFoamFill® inner pad for your added comfort, this outdoor garden daybed mattress cushion will be the envy of all your friends. Expertly woven in polyester for long life and aesthetic appeal, this outdoor garden day bed mattress cushion has been stylishly finished with a neat double piping edge. All of our teak outdoor day beds can remain outdoors all year round even in the harshest weather conditions, ensuring minimal fuss and fruitful use. Simple and timeless in design, our teak garden day beds will compliment any other furniture that you might have and also make an attractive focal point in any space. 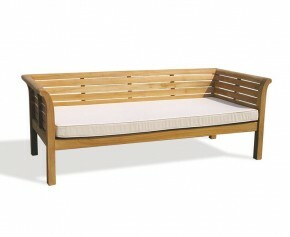 Choose from our selection of teak garden day beds here.